Evolution Cycle training is a Scottish based cycle coaching and training company run by Neil Daly a British Cycling Level 3 Coach. I offer prescribed personalised training plans for a variety of riders from wanting to get fit and lose weight to riders wanting to be competitive and improve on last seasons PBs. Additionally I offer 1:1 coaching sessions where with the aid of video analysis we tune in your skills and technique whether that be on the road, time trial or mountain biking. I am a passionate and enthusiastic coach keen to develop and motivate riders of all abilities. 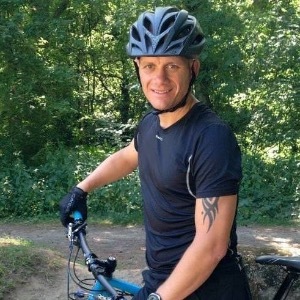 I hold a multitude of qualifications from British Cycling Level 3 road and time trial coach, British Cycling Level 2 Mountain Bike coach, Mountain bike leader, National Standards Bikeability Instructor Trainer, Balanceability instructor trainer and a Strength and Conditioning Coach. I have worked as a mountain bike coach for some years with Singletrack school and as an instructor trainer with a large national cycle training company. I am currently club coach with my local cycling club working with riders of all abilities from new cyclists to seasoned racers. As an athlete myself I have competed in many forms of bike racing from Criterium road races, Time trials, Mountain bike XC racing, Mountain bike 24hr endurance racing, Mountain bike stage races and a whole variety of road sportive events including Tour of Flanders and Tour de Force. I enjoy passing on knowledge and seeing riders improve whether that be learning to ride for the first time, helping riders gain confidence if they are returning to the sport, assisting riders with the commute to work or helping them focus and train towards their next event. Success. Coach Neil Daly has been notified of your message.